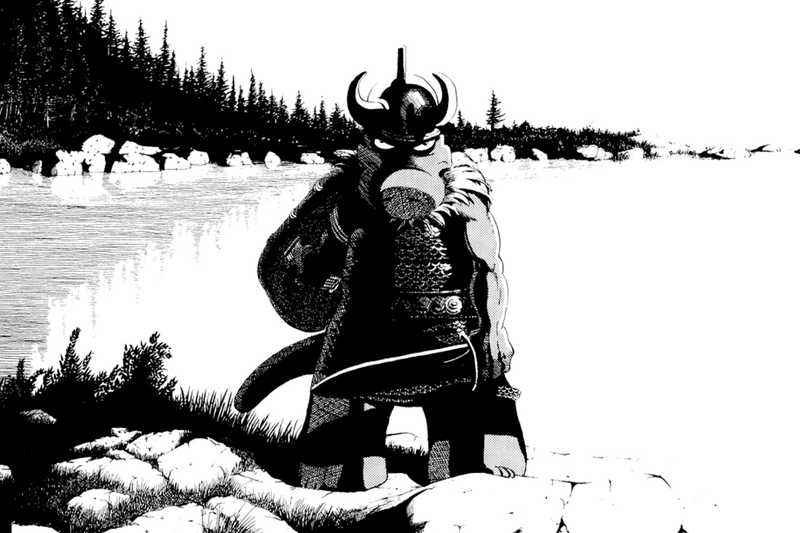 In December 1977, the first issue of Cerebus, a comic about an aardvark barbarian, appeared in black and white. Written and illustrated by Dave Sim, a cartoonist who lives in Kitchener, Ontario, Cerebus would persist for nearly three decades, expiring in the twenty-first century. At its peak, back when comics had pesky material needs such as ink and distribution, Sim’s book enjoyed a print run of 36,000—a feat for a self-published series. There isn’t an adjective that can’t be directed at Cerebus, which turns forty this month. The series is funny, boring, thrilling, tedious, moving, offensive, satirical, reactionary, innovative, sexist, romantic, and ultimately, as our culture writers like to say, problematic. If the comic came out today, takes like “Aardvarks: I Can’t Even” would file themselves. But despite its problems, Sim’s life’s work, doled out in monthly doses for twenty-six years, adds up to Canada’s most aesthetically accomplished and ambitious graphic novel. (A distant, honorable second: Chester Brown’s Louis Riel.) Shot through with hairline flaws and cavities, Cerebus is nevertheless one of those neglected monuments of Canadian culture—like Peter Van Toorn’s book of poems Mountain Tea or Mary Margaret O’Hara’s album Miss America—that your professor never assigns. It wasn’t just Sim’s subject matter that was ambitious. Early on, he declared that Cerebus would run for exactly 300 issues. That meant twenty-six years of monthly issues, published outside the near-monopoly enjoyed by Marvel and DC, the superhero conglomerates. Sim’s underdog product would cease production, around page 6,000, with the planned death of its title character. 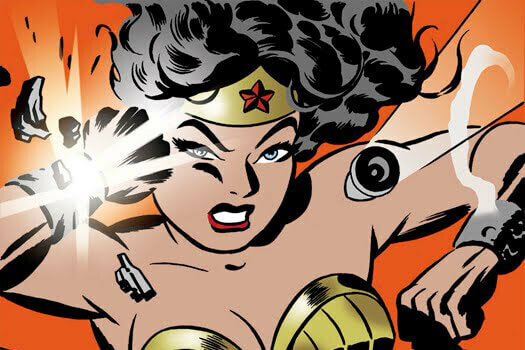 That meant—if all went according to plan—the final issue would come out in the far-flung future of March 2004. Sim’s bloody-minded pursuit of this milestone made him an oddity among comic artists. So, too, did his advocacy for their creative rights. When Canadian Todd McFarlane helped lead an exodus of artists from Marvel to form an imprint of their own in the ’90s, Sim’s aardvark showed up in an issue of McFarlane’s new venture, Spawn, to cheer on the rebellion. (Sim wrote the issue.) Indeed, Cerebus, which often parodied the state of the superhero genre, came to be the conscience of a subculture. Sim even printed detailed advice to aspiring cartoonists, from how to pick the right printer to the basics of how to use a nib. (As a teenager, who xeroxed his own comics with friends, I learned how to ink from reading Cerebus.) Sim also opened his pages to excerpts from other fledgling indie comics. On the shoulders of his sword-wielding aardvark, countless careers took their first tottering steps. In fact, Cerebus was usually about whatever happened to be preoccupying its creator. For instance, when Sim got religious, so, too, did his comic. When Sim wanted to talk to his creation, the aardvark found himself plucked from a bloody fight and plunked down into a postmodern metafiction. When Sim took an obsessive interest in American literature, his book’s back pages ballooned with endnotes, and Cerebus turned fanboy, fawning over one Ham Ernestway, a depressive novelist. Sim’s book was meticulous about its world building, but blithe too; the drywall between his aardvark’s reality and ours was always porous. At any moment, a real-world figure—a fellow cartoonist, Oscar Wilde, Woody Allen—might suddenly, calmly, populate his panels. Unlike the typical superhero comic of the time—which ensured that each new instalment was self-contained or, at least, lubricated with a recap—Cerebus didn’t condescend to the uninitiated. An issue of Cerebus, encountered in isolation at a comic shop, was like a section of film snipped free from some larger spool. Here, then, was another part of the appeal: with no Wikipedia at hand, you had to do the adult work of getting up to speed. But even if you didn’t know what was going on, the production values were apt to win you over. “Genuine poetry,” argued T. S. Eliot, “can communicate before it is understood.” Similarly, the formal polish of a page, even a panel, of Cerebus could reassure curious readers that they’d stumbled onto the real thing. Critical to the look of Cerebus were the embellishments of Sim’s crack collaborator, Gerhard. Early on, Sim recruited the artist to supply his comic with hi-def backgrounds: exquisite crosshatching that cohered as cumuli or gave palace marble its gleam. Gerhard’s buildings, another cartoonist’s afterthought, were so thorough they seemed to unfold, origami-like, from real-world blueprints. Cerebus was a monthly master class in what obsessive artists, under a relentless deadline, could accomplish with pen and ink. Cerebus towards the end wasn’t so much a poor reading experience as the final violent convulsions of a bad marriage…And when it was over I missed it, even though my reaction was as irrational as that of a battered spouse longing for their abuser. But looking back on the contours and vistas of the completed series as a whole—while ignoring its creator, that volcano off to the side fuming about “leftists” and generations “raised to be women”—provides some perspective. Indeed, Cerebus begins to resemble James Joyce’s Ulysses, another flawed book that dares to encompass all of life. At the start, Cerebus, like Ulysses, is charming, readable, and allusive. Then the work grows more ambitious in its world building and more formally experimental, parodying different genres and storytelling styles. Just when you’ve gotten the hang of it, it double downs on its own difficulty. The longueurs between successful set pieces lengthen, and the later chapters chip away at your patience. But the book still pellets out enough small pleasures and insights about the human condition to keep you turning pages. Plus there’s plenty to occupy those pursuing tenure—booby traps to trip over, allusions to log. In short, it’s a brilliant work. But dim in spots. And dumb when it comes to women. If anything, the soul of Cerebus is in the details: in the hundreds of local pleasures—plot twists, slapstick gags, and wordless, gallery-grade panels—that, in the aggregate, occupy the bulk of a reader’s experience of the work. There are minor delights which include Cerebus learning how to sweep a floor, and sublime ones, such as the two-page panel of the aardvark peering down at Iest (drawn and quartered into farm fields and street grids) as the tower he’s sitting on spins toward outer space. I mean the pleasures that exist in spite of the author’s explicit program or most self-defeating, overdetermined intentions and intolerances. As with Ulysses, The Cantos, The Merchant of Venice, and countless other complicated texts, it’s complicated. But that’s what makes forty-year-old Cerebus, though far from woke, a work of art.